Originally Submitted to FurAffinity.net on Jun 7th, 2009 12:28 AM. Before it was transferred to Inkbunny it had 62 views and 0 favorites. This was NOT emulated, nor created on a modern computer. due to the fact that I cannot save this computer generated image as a file that would be compatible with anything today, I had to take a picture of it. 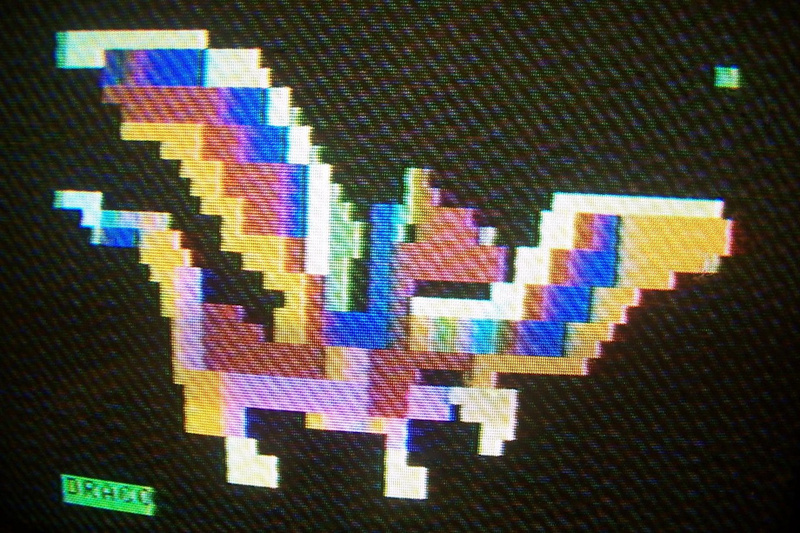 XD enjoy my cruddy 80's TV monitor!